Painting of Milo the rescue dog by Sir Edwin Henry Landseer. 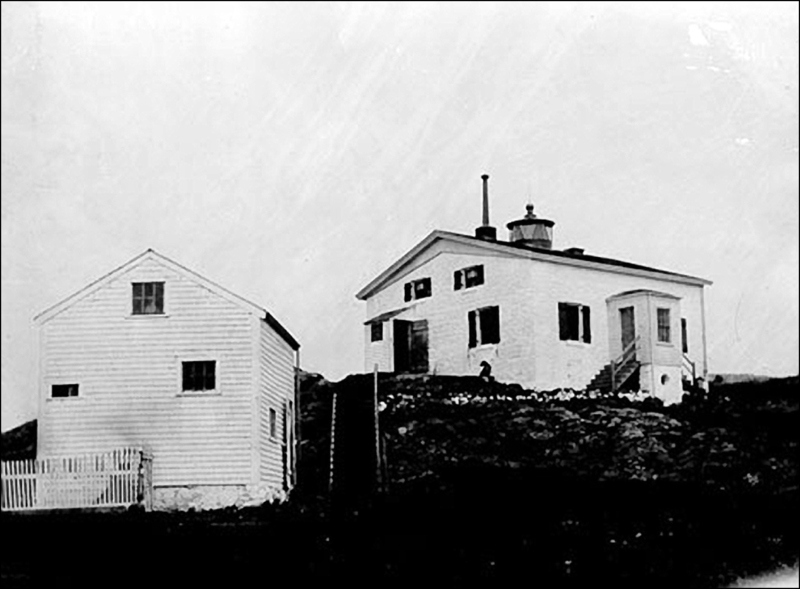 George B. Taylor was the first Keeper at Egg Rock lighthouse, located a mile off near Nahant, on the Massachusetts northern shore. When he brought his family to live on Egg Rock Island, he also brought their loving dog Milo in 1855. Many lighthouse keepers owned dogs for companionship due to the solitary job of managing and maintaining a lighthouse. He was a breed mix between a Newfoundland and a St. Bernard making him a rather large animal. Milo was stationed with his owner, Keeper George B. Taylor at Egg Rock Lighthouse, located near Nahant, Massachusetts. Although the lighthouse is no longer present today, the stories and famous painting of Milo have been preserved over the years. As the masons were completing the finishing touches on the lighthouse, they were quite fond of the playful animal and left an opening in the masonry which served as Milo’s private entranceway to the lighthouse. Milo adapted rather easily to the wildlife on the island. He was a very good swimmer and very independent. One day, as Keeper Taylor took a shot at an approaching Loon for dinner, Milo started a long chase after the wounded bird. Milo was soon out of sight chasing the prize, as it would try to fly away. Darkness approached and the Keeper and his family feared that Milo had gotten into some kind of trouble in his escapade. The Taylors finally went to sleep fearing that the dog had drowned. The following afternoon Milo was sighted in the water heading towards the island from the Nahant shoreline. The dog had apparently missed sight of the tiny rock island and lighthouse in the night and ended up on the shore of Nahant, where he stayed the night and then apparently swam to the island the next day. 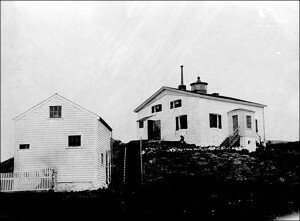 Vintage image of Egg Rock Lighthouse in 1800s. Image courtesy US Coast Guard. In foggy weather, Milo would constantly bark at any vessels approaching the lighthouse, becoming an additional fog signal. Keeper Taylor claimed that Milo was involved with assisting in the rescue of several children from drowning near the island. 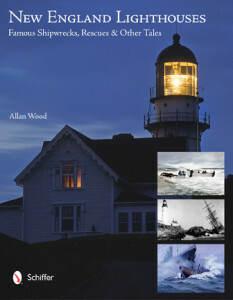 Milo was also a favorite of local fishermen, as they would come out to the lighthouse and tie large pieces of cod to pieces of wood and set them adrift. The dog would swim out from the shore to retrieve the floating fish, which sometimes were sent adrift as far as a mile from the island, and then bring them to the Taylors. The Taylors would then cook the presents for dinner that night. Milo’s fame spread across the Atlantic where he captivated the interest of a well-known English animal painter, Sir Edwin Henry Landseer. Landseer was granted permission by Keeper Taylor to create a painting of Milo with Taylor’s young son, Fred. 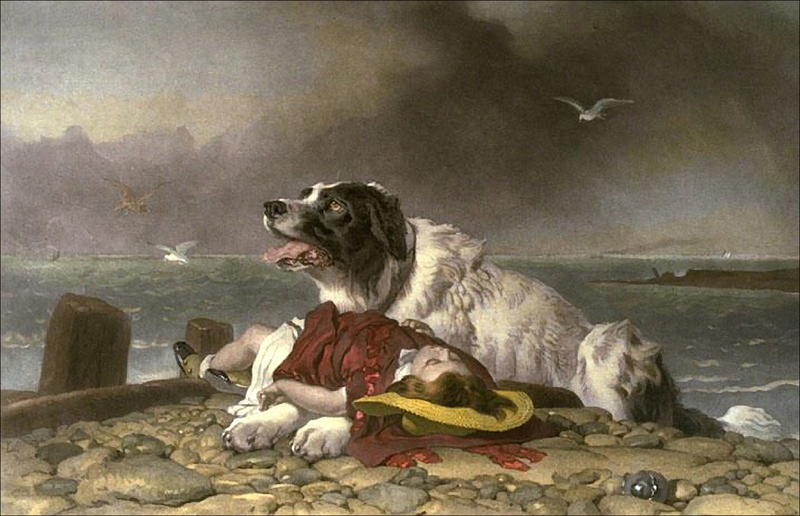 The painting displayed Milo over a young child resting between the dog’s large paws, as if the child had just been saved. The painting, titled Saved, became a powerful symbol of the lighthouse service and became internationally famous. Today, Egg Rock lighthouse has been removed and the island is used as a bird sanctuary, due to the efforts of Massachusetts Senator Henry Cabot Lodge.